When it comes to road trips, we’ve been around the block a few times, as it were. So when we put this checklist together, it was a long, thought-out process. Packing up our car for a 10 month Australian road trip, we really had to think about what we needed versus what we wanted. There’s only so much room in the car after all. Whether it’s a long road trip or a short one, these were the things that we feel are necessary for a successful road trip. Yep, even down to the music and audiobooks. 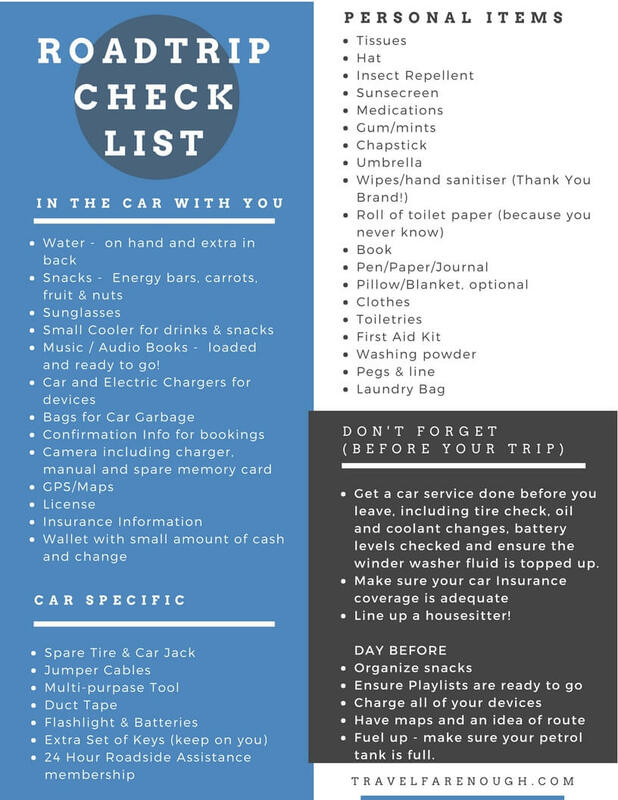 Want a downloadable version of the checklist instead? Click below for the PDF version! Previous Post Destined for Dallas? Discover Denton!